Our Home Plate Individual Team Pennants will stand out in a crowd with our signature designs. 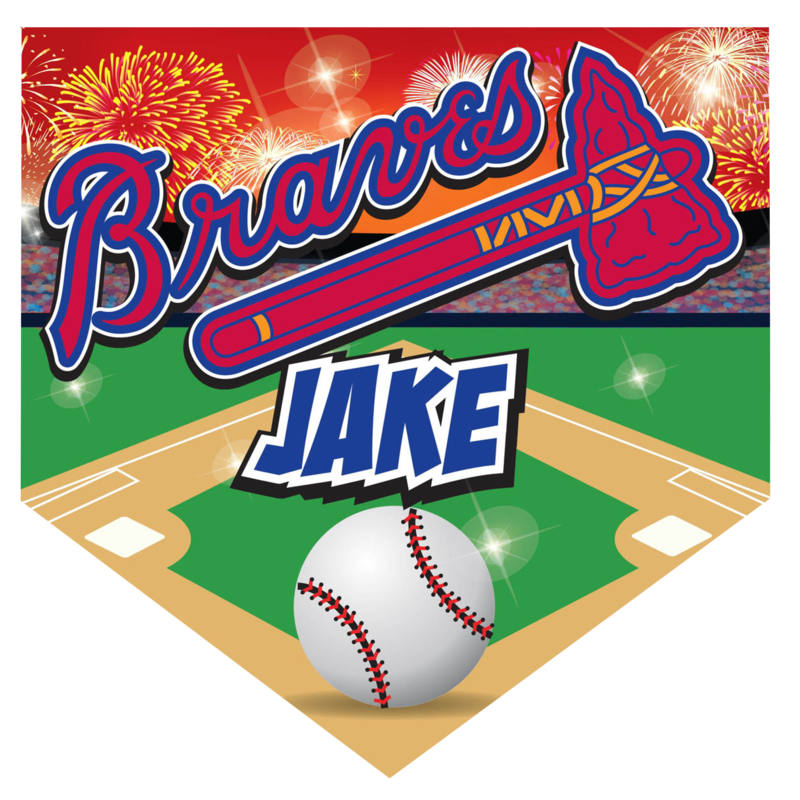 You are purchasing a 22 x 22 inch outdoor Home Plate Pennant digitally printed on high quality 13 oz. vinyl. Your pennant will come standard with grommets and include metal clips. You will receive a proof of your customized pennant via e-mail. Please review your pennant carefully to make sure all names are spelled correctly. If you would like to make any changes, you will be able to do so at this time. Once your pennant has been approved we will move into production. All pennants will be completed and ready for pick up or delivery by Friday of each week. We will need a minimum of 2 business days to compete your order.